Boulder’s oldest bike shop, Full Cycle, will field a professional level cyclocross team in 2018. The group of three pro riders, Maxx Chance, Denzel Stephenson and Eric Brunner, are products of Boulder’s thriving development scene, and show Full Cycle’s commitment to being the community hub of cycling in Boulder. The team will be called Full Cycle Cross with a number of supporting sponsors, including Giant Bicycles, Donelly tires, and Stages Cycling. 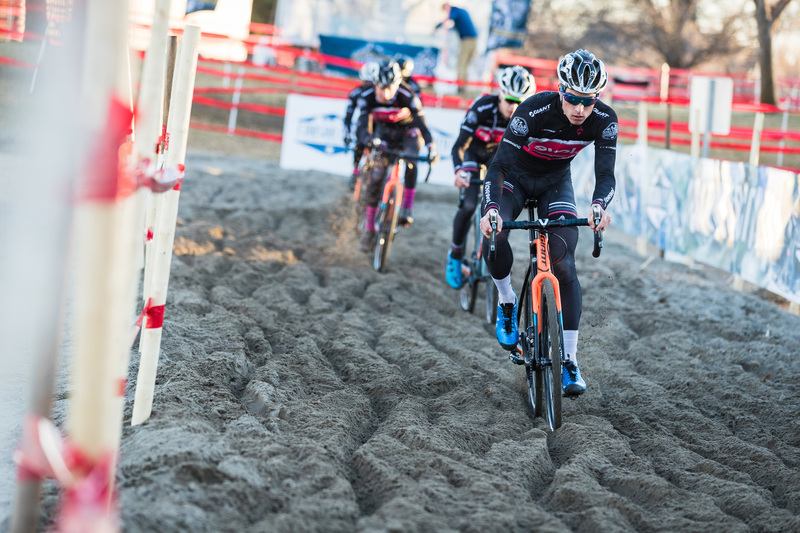 The team will take on the majority of the USA Cycling ProCX calendar and the domestic World Cup races. The pro team will be coached by Grant Holicky and managed by Mitch Hoke. The decision to field the team complements Full Cycle’s recent decisions to sponsor Boulder Junior Cycling and to become the Official Technical Support sponsor for the local-to-Boulder eight race Cyclo-X series, produced by Without Limits Productions. On the local level, Full Cycle will also be fielding an ambassador and club level team, managed by successful CX racer and professional coach Chris Baddick. Podium regulars Kristin Weber, Matt Davies, Michael Friedberg, and Ksenia Lepikhina round out the roster. In addition to racing at most of the Front Range races, these ambassadors will be leading regular skills clinics and group rides leading up to and throughout the race season, available to club team members and others. The open-to-all club team benefits include 10 weeks of professional skills coaching, race day support at key events in Colorado, and exclusive discounts at Full Cycle and the attached tap room, Tune-Up.